Leading financial data and analytics provider relocating global headquarters to Building and Land Technology’s centerpiece property within The Towers at Merritt River office park. FactSet, a global provider of integrated financial information, analytical applications, and industry-leading services, is relocating its global headquarters to 45 Glover Avenue, a 264,500 square foot Class-A office building located in Norwalk, CT, owned by Building and Land Technology (BLT). FactSet will lease 173,000 square feet of office space at 45 Glover Avenue, bringing the property to 100% occupancy. FactSet is relocating from its previous location at the Merritt 7 Office Complex in Norwalk. The Company is expected to move in to their new space at 45 Glover Avenue in the last calendar quarter of 2019. The 45 Glover Avenue property offers state-of-the art amenities as well as efficient floor plates and is located within The Towers at Merritt River, a three-building office campus that also includes the 801 Main Avenue and 901 Main Avenue properties. 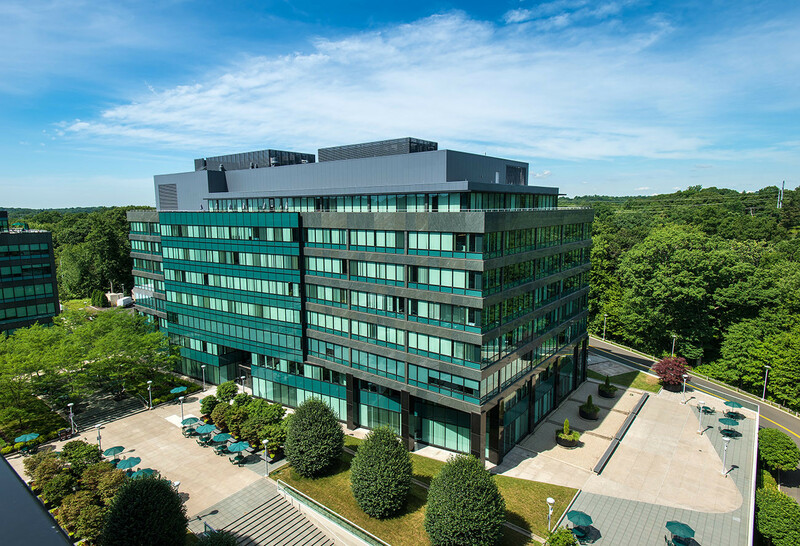 Considered the premier corporate campus in Norwalk, the complex sits high on a hill offering an ideal branding opportunity and a great location with immediate access to the Merritt Parkway, Route 7 and the Merritt 7 Metro North Train Station. Home to GE, Diageo, Bridgewater Associates, and now FactSet, the building’s amenities, including the cafeteria, conference and fitness centers, and lobby have been redesigned to suit BLT’s ongoing goal to be “best in class.” The complex also features the latest in technology, communications and infrastructure, as well as outdoor patios, manicured courtyards and terraces, a helipad, and ample parking. Adjacent to the Towers campus, BLT is constructing a mixed-use development that will feature over 1,000 residential units, biking trails, and substantial new infrastructure. The Towers at Merritt River is also in close proximity to a vibrant Norwalk retail corridor with numerous stores, hotels, and dining options. “We believe that the commercial, residential, and retail offerings here will all feed off each other creating a true live/work/play environment for Norwalk,” added Leslie Whatley, Executive Vice President of BLT. BLT was represented by Tim Rorick and Torey Walsh of Newmark Knight Frank in the transaction and FactSet was represented by Joseph Cabrera and Michael Gordon of Colliers International.